This is Collection of Animal Storage Which Made With a Thick Compressed Paperchip Board to Hold its Shape Against Daily Pulling and Weight of Stored Items. Our Quality is Very Apparent in Person - Special Design With Lively Colors. Lightweight, attractive, fun, collapsible. The Storage Box Measures a large 13in x 13in x 13in,Made to fit almost all cubby hole shelving units it adds a pop of fun to every room. 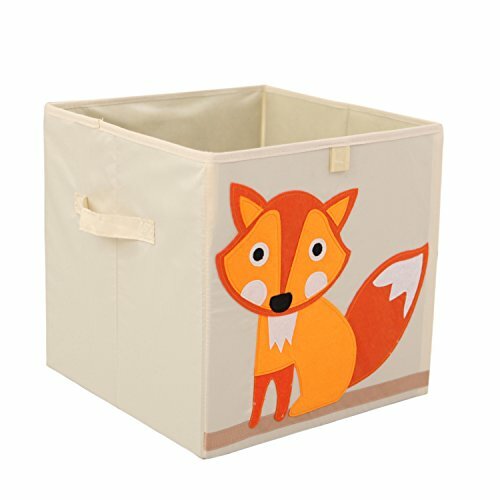 Whether standing alone or placed in a cubby hole Our storage box makes organizing easy. It is the perfect organizational tool for any room in your house. With sides reinforced with cardboard our storage box stands at attention at all times. If You Have Questions or Need Help Don't Hesitate to Directly Contact Seller via Amazon Buyer Central and get an immediate, personal response. ***PURCHASE TODAY! *** with absolutely no risk THANK YOU!! If you have any questions about this product by Murtoo, contact us by completing and submitting the form below. If you are looking for a specif part number, please include it with your message.